Most of that money is going to fuel and other logistical costs associated with moving supplies long distances, with food and safe drinking water being among the top requirements for the 1.8 million people in urgent need of help. “The speed of response is important in disasters like this and there’s a great tyranny of distance, but I’m pleased to say we’ve leaned forward from the very beginning," Huston told reporters during a teleconference Monday. 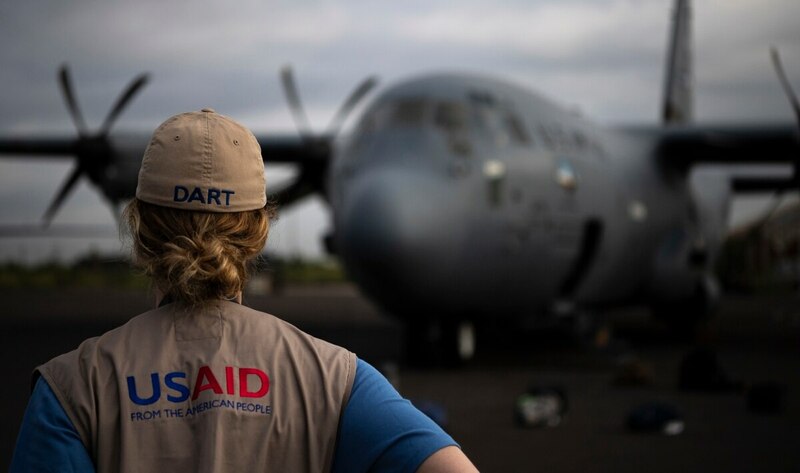 The relief effort has since morphed to include a team from Combined Joint Task Force-Horn of Africa on the ground in Mozambique, as well as a team in Djibouti, to help coordinate the operation. 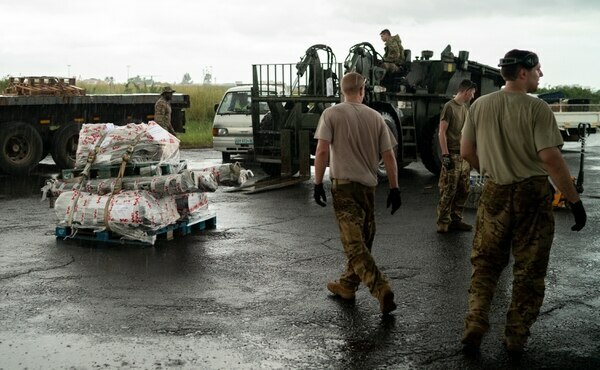 C-17 Globemasters are bringing aid supplies into Maputo, Mozambique, from United Nations World Food Program locations in Pisa, Italy, and Dubai, UAE. From there, C-130 Hercules and other assets distribute it throughout the areas impacted in the country. This is the “hub and spokes” concept, according to Brig. Gen. Leo Kosinski, AFRICOM’s director of logistics. Large military aircraft are used to transport aid to a central hub, and then smaller aircraft, trucks and even boats transport supplies out to the “spokes," or smaller regions within an affected area. So far, AFRICOM has moved 125 tons of food through airlift and conducted 30 sorties, “and that is just the beginning,” Huston said. Now that the air assets have figured out where to land and take off, the operation will start to pick up pace. Cmdr. 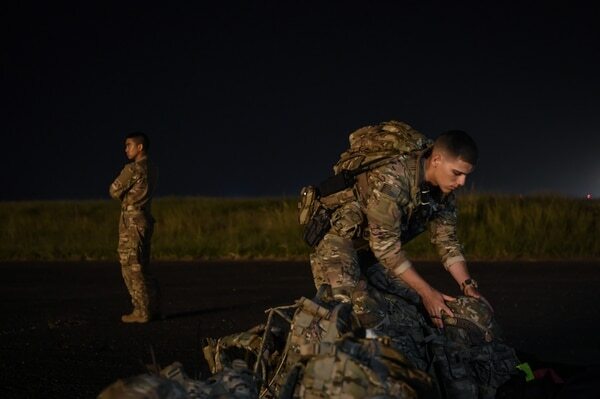 Brian Patterson, the task force’s lead operations officer on the ground in Mozambique, said that a tactical operations center was set up in Mozambique’s capital of Maputo. In addition to the food and medicine, trucks to help deliver food deeper into the country have been also brought in. There are approximately 90 U.S. service members on the ground, Patterson said. “That’s not a hard number,” he added, and more people and assets can be brought in as needed. Roughly 250 Americans total are in Mozambique, though officials added that they are part of a wider network of relief organizations. Huston said USAID and Pentagon funding, for instance, is part of a contribution effort led by the United Nations Office for the Coordination of Humanitarian Affairs. In addition to the hub and spokes logistics train, “we are providing military capabilities, niche capabilities,” Kosinski said. “Those are initially assessing runways, and assessing capabilities of off-loading and on-loading aircraft and the most efficient ways to deliver cargo,” he added. The runway in Maputo is currently fully functional with plenty of open space for C-17s to land. 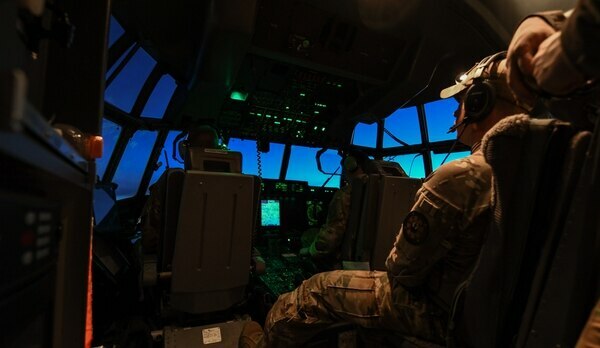 The C-130 flights out to other runways in places like Chimoio and Beira lack full refueling capability. Because many roads are not functional, AFRICOM will have to lean on the United Nations, which “has the lead on managing logistics," said Bryan Hunt, U.S. Embassy Mozambique deputy chief of mission. U.S. officials will watch those lines of transport to determine whether additional help is required from AFRICOM or USAID. The U.S. is also helping with the public health situation in the country, where emergency workers are trying to contain outbreaks of cholera and malaria, Hunt said. That means getting water and sanitation systems back online, Hunt said. Vaccines for cholera or other medicine does help, officials said. However getting local schools and health centers back up and operational is what will prevent a protracted crisis.